I made a handmade nursery mobile for my daughter's nursery using an embroidery hoop, scrapbook paper and ribbon. I took the metal hardware off the hoop and spray painted it white to start (I only used one of the hoops once I took the hardware off). Then I cut out 96 circles about 3 inches in diameter from various pieces of cute scrapbook paper that matched the other nursery décor in her room. I cut sections of 1/8 inch ribbon the length I wanted my mobile pieces to hang down and used a hot glue gun to glue my circles back-to-back at regular intervals along the ribbon sections. Then I glued the tops of the ribbon sections around the hoop at regular intervals so the circles were hanging down. I also glued other ribbon sections to the hoop extending upwards and tied them in a knot at the top so I could hang the mobile from a hook in the ceiling. Finally, I glued one-inch ribbon on the inside and outside of the hoop to cover up all the other little pieces of ribbon. I hung the handmade nursery mobile in the corner of my daughter's baby nursery above her crib. She has a fan in there that is aimed at the mobile, which makes it move. I know most nursery mobiles also have music boxes but she already has a music box attached to her crib so we didn't need the mobile to play music too. 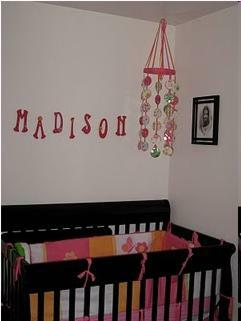 You can use an embroidery hoop to make all sorts of different nursery mobiles to fit different themes. Instead of ribbon you could also use colored crafting twine or clear plastic beading thread. and threaded onto clear twine using a needle. The twine has then been secured to an embroidery hoop which is hung from the ceiling. To decorate the hoop you can paint it with small motifs all around, for example flowers or butterflies - whatever matches you theme. You can also intertwine thread or colored string around it until the hoop is no longer visible to create a bird's nest type of effect. Another idea I have seen is to tie lots of different narrow strips of fabric around the hoop also creating a bird's nest effect. For the hanging element you can use lots of other materials besides the paper used above or the plastic sheeting used in the butterfly project. You can use felt and padding to create multi-colored raindrops and clouds or animals. You can make any shape from a train to a bird out of papier mache. 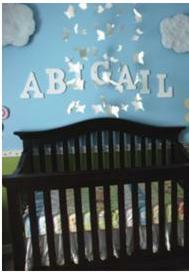 Just paint your handmade nursery mobile pieces in your nursery colors when they are dry. Use a needle to thread them onto wire or beading thread and hang them up. 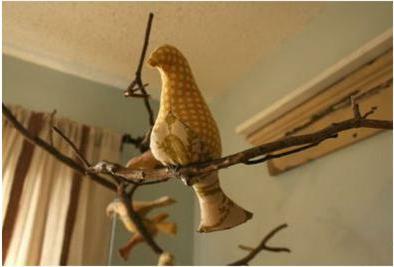 These birds have been attached to ordinary garden sticks which have been varnished. The sticks have been hung directly from the ceiling using clear twine and hooks. These soft toys have had clear thread sewn onto them and have then been hung from the ceiling using hooks. You could do this with soft alphabet or number blocks, rubber duckies or baby rattles. 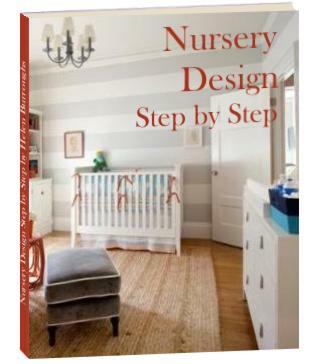 You can create a nursery mobile to match almost any baby room theme using these ideas. Do you have a handmade nursery mobile tip to share? 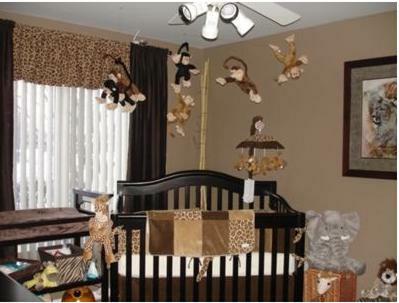 Post your comment below, or better still send us your own handmade nursery project!